I don't understand this casting at all. The rest of the ensemble is well cast, but Jeremy Piven doesn't come near the mark of even the lowliest cast member. I don't believe a moment of him. Who owed him for what? We have so many talented American actors, and England has so many that do perfect American accents that this makes no sense. He is wooden, flat, even that annoying, constant grin is awful (I don't even believe his teeth). As Dorothy Parker once said of Katherine Hepburn, "(s)he displays every emotion from a to B." OK, so it's no Downton Abbey, which is brilliant. Though I enjoy the writing, the characters, and of course the acting of the rest of the cast, Piven is getting on my nerves so much, I might not be able to continue. In earlier seasons, the Selfridges have four children. Gordon Selfridge (Adam Wilson), Rosalie Selfridge (Poppy Lee Friar), Violette Selfridge (Freya Wilson), and Beatrice Selfridge (Raffey Cassidy). In order to show proper age progression in later seasons, actors were replaced. Gordon Selfridge was now played by Greg Austin, Rosalie & Violette were played by real life sisters Kara & Hannah Tointon. 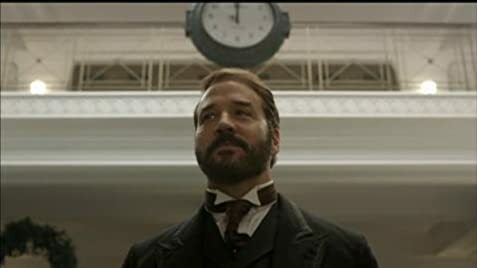 Beatrice is not mentioned at all in season 3, even though it seems all of the Selfridge family is now residing back in London.